Looking for private in-home or in-studio Shakespearean Acting classes? Our Grand Prairie teachers are ready to get you started. Find your teacher today! Check out some of our most popular teachers near Grand Prairie, TX including Dallas, Fort Worth, Plano, Frisco and Irving. I've taught vocal training to children, teens, and adults in the US and abroad since 2006 and my students are working! My Masters degree training has afforded me the opportunity to be well versed in effective vocal techniques. My main goal is to help you to develop your own set of tools, and better understand your unique voice. Make sure to wear clothing you can move in during our sessions, and, most importantly, explore and just have fun! I have taught acting to small children, teens, and adults in community, private, and collegiate settings. I taught acting at the legendary Lee Strasberg Theatre Institute in New York City. My love of the arts has enabled me to study and perform in various cities throughout the US; including Los Angeles, where I studied at the Lee Strasberg Theatre and Film Institute, to Europe, Mexico, South America; then back to New York City, where I earned a Master of Fine Arts degree in Acting from the prestigious Actors Studio Drama School. , but can assist you in making the right choices to navigate your own way in the business. I offer private coaching to actors in theater and film, and singers in the US and abroad. I would love to share my knowledge and experience with you. I offer private coaching to children, teens, adults who have an interest in acting or singing performance, and for those who simply have an interest in performing or speaking in front of others. In addition to coaching those who wish to better their skills in acting, voice and speech, and singing, I also offer coaching for non-actors; i.e., attorneys, business professionals, teachers, politicians, pageant participants, and other creatives, who want to improve their public speaking and communication skills. i enjoyed my first lesson with Toya. Just met her and can’t wait to start working with her! She’s so kind and knows what to do to make you reach your goal. Thrilled to have found her! Toya is great! Exactly what I was looking for in a voice coach. She identified my areas for improvement, recommended exercises, and outlined a plan. She has excellent teaching skills and a delightful personality. I am very pleased. (1) Lifelong learners who develop successful learning habits. (2) Creative and critical thinkers who will become effective communicators. (3) Responsible and respectful members of society who respect other cultures. (4) Able to set short-term and long-term goals and be able to see them through to their success. w music thoroughly, not just to “play.” I desire my students to comprehend elements of the score, to use their bodies effectively to make good sound, and to interpret music creatively and according to historical performance practices across all genres of music. Thus, I give students a purposeful education in technique, quality literature, performance and artistry, music theory, and music history. Although students differ in ability and development, I maintain high expectations for our students. I expect attention and respect in lessons, faithful and diligent practice, careful adherence to instructions, and an “I’ll-do-my-best” attitude. If students regularly meet these expectations, then they will excel to the level that they are able. It is my joy to help students master their music, to do the best they can, and to strive for and achieve excellence. Lastly, I want students to enjoy and appreciate their instrument, music, and music-making; and I know as as a teacher, I am very influential in making this happen. Students develop enjoyment of music by understanding music, experiencing success in music, being exposed to good and varied genres of music, and receiving instruction from a teacher who is enthusiastic and encouraging. It is my goal to provide all of these opportunities for students, and as a result their lives will be enriched as they enjoy their instrument. The best thing to happen to our family. Highly recommend! Great lesson! Maria is really insightful and gives very pratical advice. I felt like I learned more in just one session with Maria than I learned in an entire class. I am looking forward to my next lesson. I help my students break down the text through analyzing the iambic pentameter, rhetorical devices, and imaging work of the text. After the analysis, I help my students learn how to perform Shakespeare in a truthful, interesting, and accessible way. Alexandra has a BA from the University of Southern California (Recipient of Doolittle Award: Outstanding Female Performer of graduating class) and an MFA from the American Repertory Theater/Moscow Art Theater Institute for Advanced Theatre Training at Harvard University. Acting has taken her to Paris, London, and Moscow and has given her the opportunity to work with exceptional artists, such as Neil Patrick Harris, Neil Gaiman, Scott Zigler, and Kevin Bright. She coaches students privately and is currently teaching at Will Geer’s Theatricum Botanicum, American Academy of Dramatic Arts, and The New York Film Academy. She is also a monthly column contributor to the popular online arts magazine, Bleep. I love sharing the techniques I've honed working with Steppenwolf, Chicago Shakespeare and other Tony award winning theaters. Shakespeare is an actor's playground. We will work on techniques to pull as much out of the text as possible, break down the script, build a character, raise the stakes, and make choices to create an exhilarating performance. From the hit TV comedy Crazy Ex-Girlfriend to drama at The Tony Award winning Steppenwolf Theater, my 20 year acting career has taught me many lessons to share. As a working writer/director this has only grown. I love teaching. There are few things as rewarding as being a part of a students development and their personal victories. Many of my students have achieved notable representation and consistently work. Other students are simply pursuing acting as a passion or a tool to gain confidence. Whether it's audition prep or personal development, if you bring the drive, I promise to get you to your goals ... oh, and we'll have a lot of fun on the way. After all, it's called a "play" for a reason. he's nice fun and very good at teaching acting and doing acting. Patient, kind and talented . Highly recommended ! Come learn and have a blast with a professional competitive and Broadway and Hollywood Actor!! Perfect your craft with various acting techniques, a specially designed warmup program and audition techniques! Land your next acting gig after taking lessons with me! Hello Lovely future students!!! I am a professional actor, dancer, choreographer, director and a Texas state certified educator! I have taught nearly every subject in public schools from grades k - 12 as well as acting, musical theatre, dance and voice at the college level! I attended both SMU and TCU, graduating with a BFA and MFA in Theatre performance, dance, radio/tv/film production and Criminal Justice! Acting students can expect to improve each week in their character development, technique, script analysis and realistic performance abilities. We will also explore theatre spaces, prepare for auditions and determine specific physical warm ups designed for the individual student to assist in releasing tension. I strive to help all students perform at their highest level and obtain professional opportunities! ct to learn technique styles and combinations in accordance with the style of dance we are learning. Students will experience various forms of dance, warm ups and physical conditioning. We will practice technique as well as audition and dance call preparation. It is a goal to assist to students in their craft and guide them to achieve their personal goals within dance -whether that be stage or commercial dance! Voice students can expect to improve week to week in their vocal technique. Every voice has a unique timbre; I teach students to release built up tension and apply foundational techniques in order to unlock their own individual sound. I can help any student to sing with freedom, confidence, and expression. Academic students can look forward to a fun learning environment, honing in concepts from their subject in a unique, non lecture style. I am an incredibly hands on teacher and love to incorporate technology into my lessons! While the arts are my passion, a well rounded academic student is a must! I look forward to meeting you and helping you to become a better performer! Amanda has a true love for kiddos and a creative spark you can't deny! She helped my son gain confidence as an actor and truly inspired his natural talent. Thanks Caitlin learned a lot and is doing much better in her performance now. Diana is a teaching artist. She is an award winning AEA and SAG-Aftra performer, and one of the top Adult Conservatory instructors at South Coast Rep. Her students have a high audition to callback to booking rate. She specializes in OCSA auditions, college and university entrance auditions. Diana is an Equity actor, a playwright and a teaching artist at South Coast Repertory, a Tony Award winning theatre in Costa Mesa. Please inquire about my availability, I can usually accommodate a student. With your Coaching, I have been invited, by the Program Director, to participate in the MA Professional Voice Practice Program, at Royal Birmingham Conservatoire in the UK! The Invite came less than 24-hours after my Audition Vid was submitted! 😃 Thank you, Ms. Diana! You're awesome. Diana is absolutely fabulous! I have worked with her in a classroom environment as well as one on one and I can honestly say they have been some of the most productive/supportive experiences training in my life! Diana is laid back yet encouraging - I never feel like I am being judged or must do something a certain way to appease her (which unfortunately I have felt while working under many other teachers prior). She allows you to be creative yet also guides you to make the strongest possible choices in your role. She truly cares about her students and will work with you to overcome an obstacles you face. Diana understands how to work with a beginner or a seasoned professional, seamlessly providing a comfortable atmosphere to do your best work. Do yourself a favor and work with Diana; she has a special gift to teach and connect with others. Most importantly, she will do her best to help you reach your own personal goals in acting whether you want to be a professional or not. If more acting teachers were like Diana there would probably be a lot more great actors! Thank you Diana for your dedication, support, and excellence you provide for your students! All of Diana's extensive background as an actor & screenwriter is evident in the way she teaches. Her rich experience allows her to treat each student with an independent approach tailored to meet the most effective way each individual learns. In addition, Diana truly cares about you, which allows you to safely open up to your own vulnerabilities & master over them. I'm ready to help you learn the art of 'becoming', gain confidence in your performance skills and to have fun and enjoy the incredible ride of all that is theatre, both on stage and on screen. You will learn characterization, the power of gesture, movement, inner focus, and improv. I can't wait to help you discover more about your talent as we fine tune your skills. I have been an actress most of my life. I have studied/performed dance, stage presence, acting and directing for over 40 years. I love the art but what I love even more is teaching the art. Directing and coaching is my passion. While teaching high school students, I even started my own theatre company for adults. I worked love to share my passion for theatre and performance with you! As a relatively young actor, earning his degree from a professional acting program, I know I have a new and fresh take on training young actors. I’m fully prepared to make this extremely hard craft fun and appropriately challenging. I can assure that they will actually be making large strides in their approach to the work, finding out what works best for them. My name is Jamal, I’m a current acting student at The Conservatory of Theater Arts @ SUNY Purchase in New York. I received my high school diploma from Booker T. Washington HS for the Performing and Visual Arts in Dallas, TX. 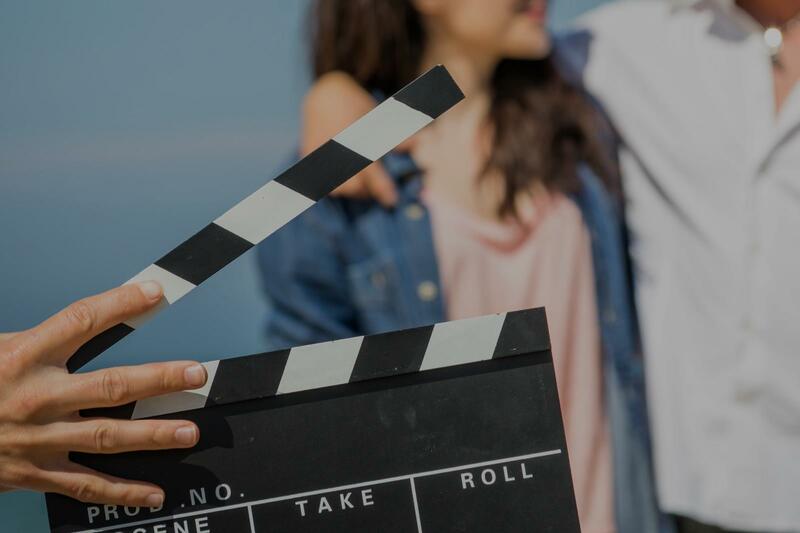 Beginning actors will have a great time with me, learning about breaking down scripts, arguably the most important work of any actor looking to be taken seriously, voice work, speech, monologue workshops, and much more. I have experience teaching children through Shakespeare Dallas and am able to adjust training in that respect, still allowing the student to be mentally stretched and challenged. My speciality is Shakespeare. I have been performing, directing, and teaching his work professionally for almost twenty years. I enjoy nothing more. Our work together will include an in-depth look at the text (meaning, structure, verse, etc) and what you as a performer uniquely bring to it (interpretation, voice, speech, physicality, etc). A single lesson will improve your technique. My training is an excellent way to prepare for a role professionally, to prepare audition monologues (either for schools or productions), or to consistently develop your craft. As an artist, I believe deeply in craft. There are techniques and practices that will make you a better actor, whether inspiration strikes or not. I’ve worked professionally at theatres including: The Alabama Shakespeare Festival, Indiana Repertory Theatre, the Clarence Brown Theatre, Shakespeare Festival of St. Louis, The Shakespeare Theatre of New Jersey, The Denver Center, Shakespeare Santa Cruz. Hello! My name is Charles Pasternak. I’m an acting teacher that specializes in Shakespeare. I can help you prepare for a part, work on audition monologues, and develop your craft. Your technique will improve after a single lesson. I’m also a professional actor and director. The work we will do will be practical and applicable. My approach to acting is always to begin with an understanding of our day to day performances of the self. Once you have an acute understanding of your own behaviors in daily life, your practice in honing acting skills becomes easier as you recognize the ways in which you can incorporate yourself into a character, and the ways in which you need to step outside of yourself in order to be true to your character. I enjoy introducing a variety of acting methods to my students, but only as tools in which we can discover what works best for the individual. Additionally, I find it important to incorporate a small amount of theatre history into my lessons when discovering technique as I find my students develop a passionate awareness of performance tradition heightens an innovative dedication to their art. Hello! My name is Dani. I was born and raised in Denver. My education includes a BA in Theatre and Performance Studies from the University of San Diego; an MA in Performance Studies from Texas A&M University, and an MFA in Acting from the University of Montana. My specialty has always been in theatre for social change and much of my work has been with inmates doing prison theatre projects behind bars. However, my passion is musical theatre and spoken word performance. I have experience in children's theatre and have toured internationally with the Montana Repertory Theater. I am active in my local arts community and continuously hone my own skills as a performer to I can offer the best instruction possible to my students. Can't find a teacher in Grand Prairie, TX?